Have you heard about Offpeak.my? I got to know about this new online platform recently and it's been very beneficial and convenient. Why do I say so? Offpeak helps diners save time and money when booking great restaurants online. You can eat more for less and save up to 40% discount off your dining bill through Offpeak. Besides, every hour is off-peak hour as the discounts offered to diners are available daily, throughout the day! You do not need a group to get a deal. Offpeak discounts are not complicated promotions, offers or deals – but straight clean discounts off your dining bills. Booking on the discount at a restaurant of your choice and time slot for the discount is as simple as 1, 2, 3. It only takes THREE simple steps and you’re ready to dine in at your favourite restaurants with exclusive offers! You can easily browse your favourite restaurants on daily basis with Offpeak's directory through their A-Z list. 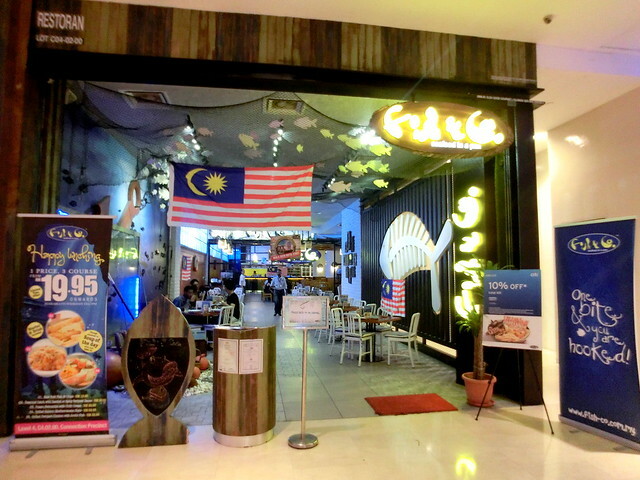 There are more than 70 outlets in Malaysia and growing (mainly in Klang Valley, 2 in Penang and 1 in Pahang). 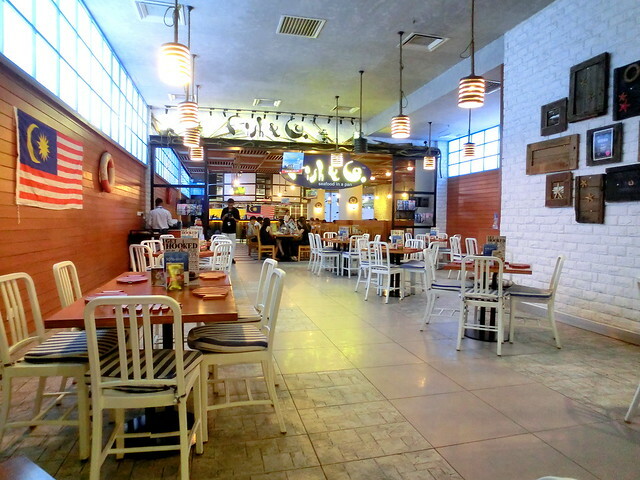 Their listing includes the restaurants' names, locations, and cuisines which can give you an idea on where to dine in when you can't decide on where to eat. There will NOT be any charges when booking online for your discount via Offpeak.my. If the restaurant you want to dine in is not available to make a reservation, fret not! You can make a reservation through Offpeak. Just make sure a booking on the discount and time slot at a restaurant of your choice is made.That's it! You can now get a discount on your final bill and instantly save your money! Do feel free to join Offpeak.my Eat & Win Up to RM 5,000 Cash Back Contest that is taking place until 8th September 2014! 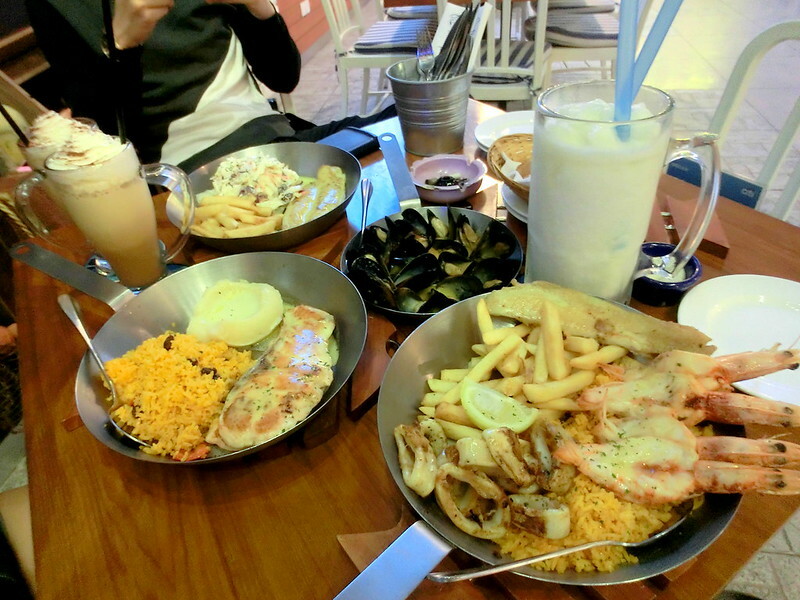 Thanks to Offpeak.my, I get to dine in at Fish & Co. at Pavilion last Wednesday accompanied by Raine and Desmond. :D Yayyy. 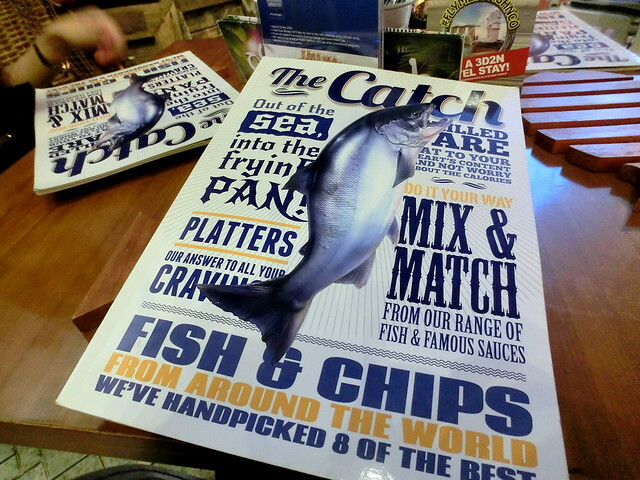 Fish & Co.'s menu that looks like a magazine and as interesting as one. From the beginning to the end of the menu, the wide varieties of every food and drinks have a picture with full description. Drooling just from the pictures! Our award-winning blue mussels with garlic lemon butter sauce, served with bread. 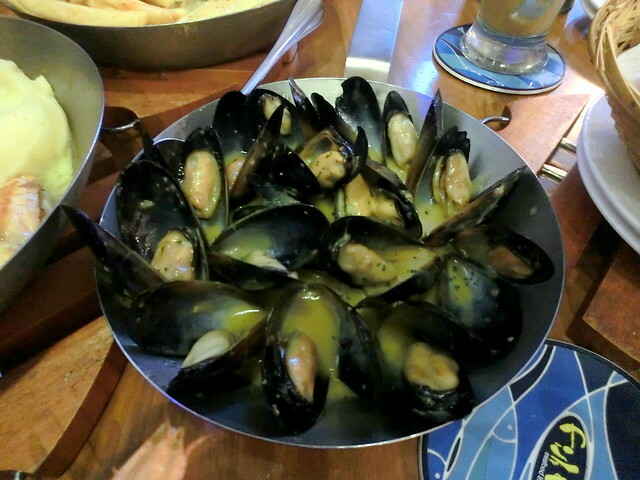 What a great way to start our meal with this super delicious mussels. The sauce is good, the mussels is good. Just can't get enough of it as the portion is quite big for the price you pay! 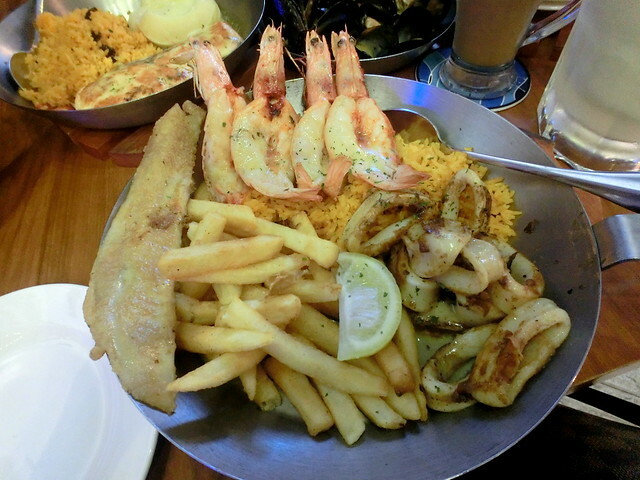 All-time favourite platter of grilled prawns, white fish and grilled calamari served with paella rice and chips. Bon appetit! 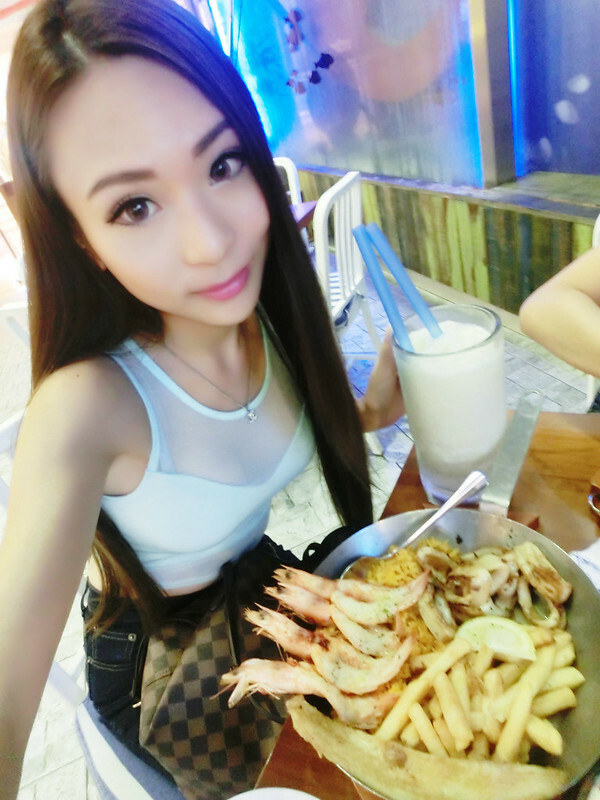 I feel like eating everything on the menu and this is the best choice I could pick because its a mix platter of seafood. Greedy me. Obviously I couldn't finish this myself so I had to share with Raine and Demond. Salmon lovers will definitely love this because I do. 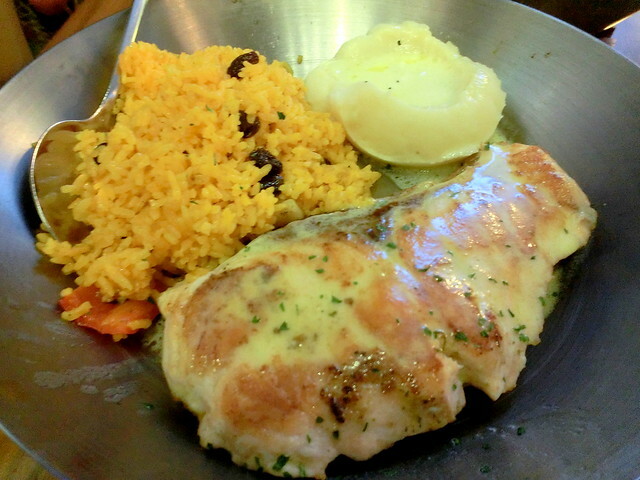 :D Raine chose the Mediterranean style because she's a fan of their lemon butter sauce. The salmon is thick and the sauce is so good. Worth every penny. Delicate fish fillet stuffed with Parmesan cheese and served with our signature lemon butter sauce. Desmond's choice. 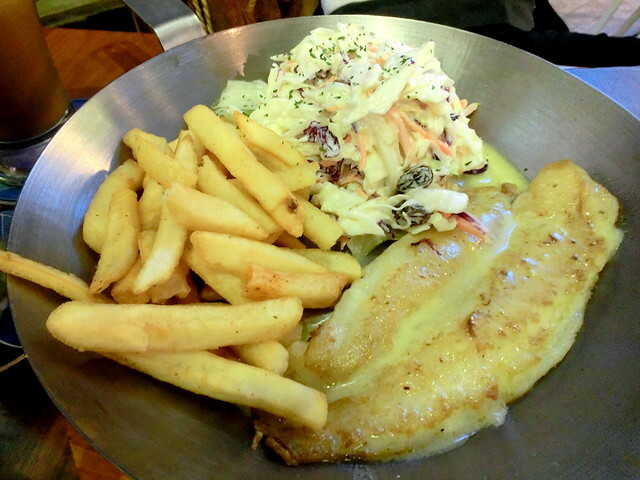 They serve the same grilled fish with the seafood platter except that this has the cheese and sauce. From what Desmond said, it tastes like super rings lol and the fish soft and fresh. Caffeine with the works - coffee, milk and honey, topped with a swirl of whipped cream. Pineapple, rambutan and tropical fruits. 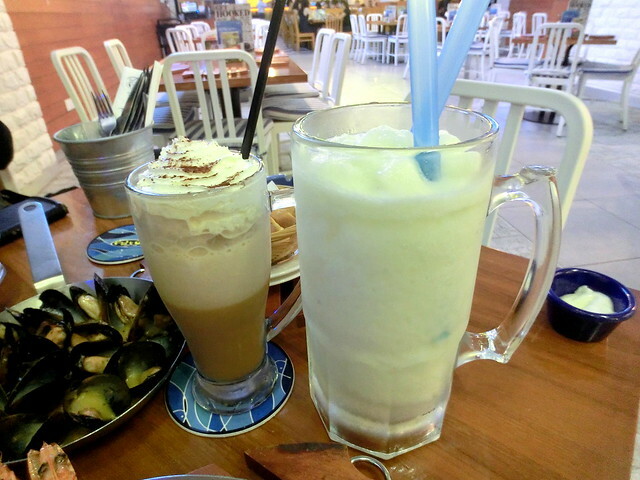 Their beverages are so special; coffee with honey and ice-blended juice with rambutan. The size of the juice is HUGE, I didn't know till it came. So worthy!! Fluffy white chocolate cheesecake batter baked on red velvet cake with semi-sweet chocolate chips and cream cheese icing, spread with a sinful chocolate ganache and dusted with red velvet cake crumbs. Almost heaven! I love desserts and I absolutely love this cake. Yumms.. 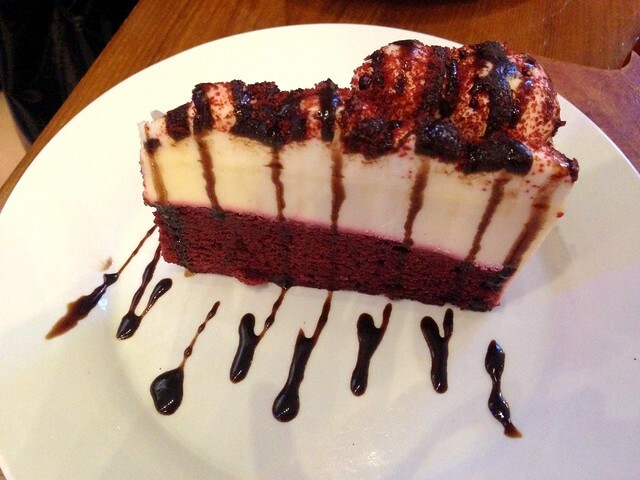 The white chocolate batter is so creamy and it blends perfectly with the red velvet cake. I want it now!! 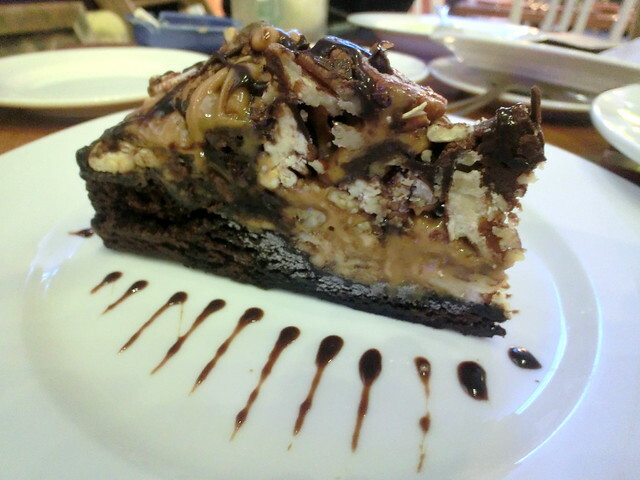 Moist chocolate cake with gooey caramel and chocolatey brownie cubes. Luxuriously spread with a sinful chocolate ganache. 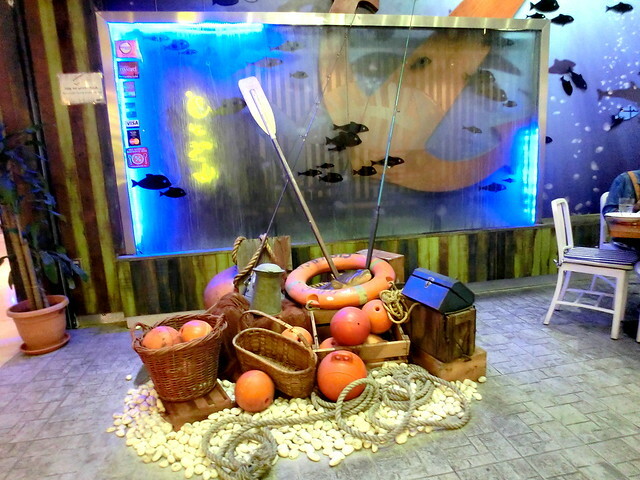 You can also dine in and save up to 40% discount with Offpeak. It's so easy.. What are you waiting for?